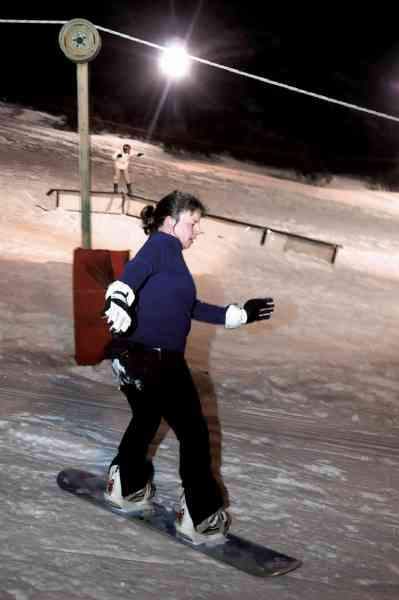 Amy Bourdon works on her snowboarding skills at the Chapman Hill Ski Area on Thursday night. Bourdon said she visits the site with her children, "every night after supper for about an hour or two." The small tow rope is open from 5 to 7 p.m. with a fee. Most visitors Thursday night took a hike up free before flying down the hill.